From the launch of Sputnik, the world’s first satellite, Ken McCracken takes us on a space journey through the heady, early days of space exploration – when scientists were making startling discoveries about space, our atmosphere and the effects of the Sun on the Earth almost daily. Radiating the ‘can do’ optimism of the times, Blast Off! 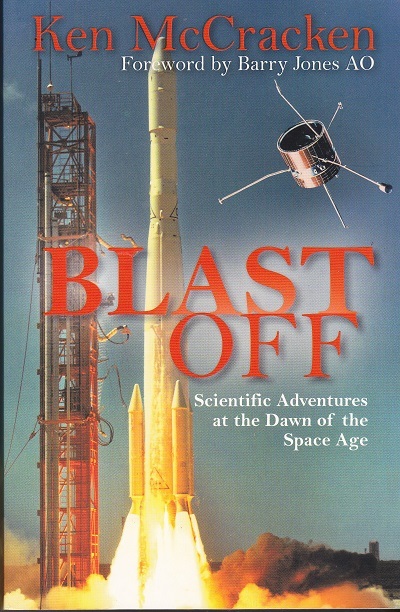 Goes behind the great moments in space – including the core of the NASA space program, the American decision to send astronauts to the Moon and the Space Race. In his unique, irreverent fashion McCracken also exposes some little-known glitches in the early space program. McCracken’s own discoveries contributed greatly to saving astronauts’ lives, particularly on the Moon landing missions. His pioneering research into cosmic radiation has taken him from the MIT in Boston, to Australia – developing the CSIRO Division of Mineral Physics and CSIRO Office of Space Science and Application. Along the way, McCracken has earned several accolades and awards, including being a joint recipient of the Australia Prize for Science in 1995.